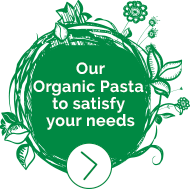 Our Lazzaretti pasta is sold in specialist organic shops and in certain delicatessens. Here are some retailers where you can find our organic pasta! Naturally, this list isn’t exhaustive. If need be, please contact us directly to find out where you nearest shop is.